'Machine learning algorithms for mineral processing' – a collaborative project between SMI-JKMRC and MIDAS Tech International. 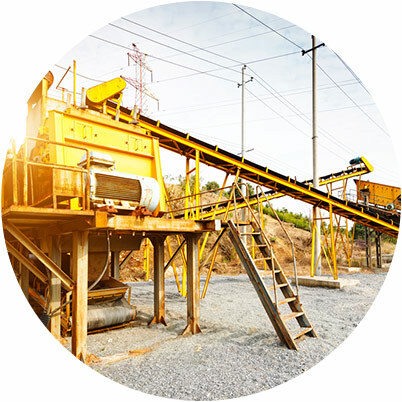 Traditional mineral processing modelling have been based on well-defined parameterised models. These models are generally physics-based models or regression models. The Machine learning approach is different and requires the models to be largely constructed from the data itself. The basic idea is that data is surveyed from a plant, and the data themselves are used to identify process improvement opportunities. The focus of the project is to compare, and validate the particular machine-learning algorithms with particular emphasis on probability-based models. The main advocate for machine-learning methods for mineral processing is Dr Stephen Gay. Stephen originally developed ML algorithms as a Physical Oceanographer at the Australian Institute of Marine Science, and later in mineral processing. Stephen developed numerous algorithms in mineral processing, and eventually it became apparent that there was a common theme to these models: The application of probability-based models to units such that the probability-based unit models are adjusted given plant information. JKMRC is part of SMI at UQ which is one of the original pioneering groups of mathematical modelling for simulation of mineral processing plants. The project represents a merger of the domain-based approaches (SMI-JKMRC) with modern mathematical methods (MIDAS Tech). With Mining Company support the project will be the basis for modernising the quantitative analysis of mineral processing. There are a number of expressions that are all related: Data-driven models, Information theory, machine learning. The common theme is the use of data to construct models, and then to use these models to simulate and optimise the process (in this case mineral processing). The method that is the focus for the collaborative project is a probabilistic framework, that is at each unit particles have a probability of going to various product streams. These probabilities are back-calculated using available information. Get in touch, or request our executive summary.